Tired of your air compressor that has a huge tank capacity but operates loudly? 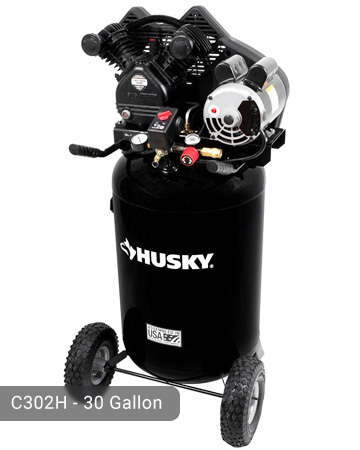 The wait is over because here comes Husky 30 Gallon 155 psi Ultra-Quiet Portable Electric Air Compressor which is the solution to your problem. Despite its huge size, it runs quietly with a sound rating of only 75 decibels. Surely, you will not find another model this big that does not produce noise. You can now continue your normal conversation with your family or neighbor even while working. 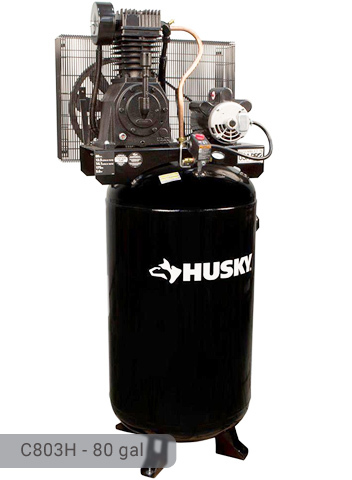 This Husky 30 gallon air compressor contains a cast-iron and V-twin cylinder pump. It is oil-lubricated so it significantly contributes to the ultra-quiet performance of the compressor. The pump also features a 1-piece cast iron crankcase for protection. The cast-iron cylinder body is thermally stable so it won’t heat extremely. Other features of the pump include an aluminum head and machined cast iron valve plate, automotive style ball bearings, and durable stainless steel reed valve. All of these parts are guaranteed to be long-lasting because of the materials used in their construction. The air delivery is at 6.2 SFCM at 40 psi and 5.3 SFCM at 90 psi. 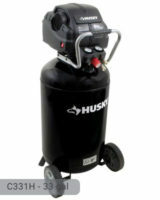 Husky 30 gallon air compressor can do all light-duty tasks such as air brushing, blow nailing, and brad stapling but can only perform limited heavier tasks such as grinding. The 30-gallon tank certified by ASME ensures high-quality delivery of these activities. Like other models, this one offers a single-stage compression which is just enough for domestic use. It is powerful enough even for certain industrial purposes. Don’t forget to find out more information about similar C303H model. It’s also very powerful. Even though it is big compared to other models, it is still very portable. It weighs 148 lbs. which is too much to handle for a normal adult but it has 10-inch full pneumatic wheels that make it very convenient to transport on all kinds of surfaces. You can now juggle painting and tire inflation without having to consider the hassle of bringing the machine to and from the house. The tank is oriented vertically so it wouldn’t take too much space in the garage. 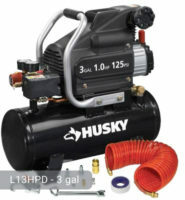 Stop worrying about other accessories that you would need to buy because Husky 30 gallon air compressor is already fully equipped. It has a quick-set regulator, air outlet, and an on/off switch for easier control. The compressor also has an excellent pressure switch and pressure gauge which gives an accurate reading of the amount of pressure in the tank. This one also has an automatic start/stop function which depends on the level of pressure that is being delivered. If there is one thing that you have to buy though, it would be a valve for the oil drain. This can help in changing the oil quickly. It is a 120-volt unit but can be re-wired to 220-volt operation. It can power your tools for a full cycle without having to rest due to overheating. 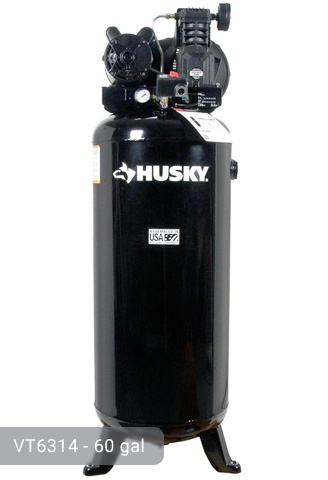 This Husky 30 gal air compressor is ideal for home owners who want to invest in a multi-purpose home equipment. If you have the money to purchase one, do it now. If you already own Husky C302H model or just want to buy it, feel free to share your review or ask a question through the form below. Where can I buy this compressor in Canada C302H? Hi, How can I get this Compressor in Singapore? Willy, Sorry but you can’t. 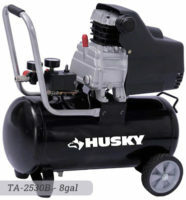 As I know, the Husky brand sells only in the markets of the USA, Canada and Mexico. Try to find a similar air compressor in your local area.